We are offering tungsten carbide dies and plug for Tube Industries. These are made in special grades in order to withstand impact as well as wear during application. Product can be manufactured as per customer design. Plugs will be supplied in fully finished and lapped condition suitable for copper - steel tube drawing applications. 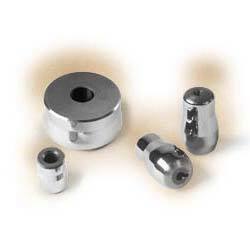 Riding on vast volumes of expertise in this arena, we are occupied in offering Tungsten Carbide Plugs. We offers our client range of Premier Lab Solution as per the demands of our esteemed clients. These are sourced from our trusted and reliable vendors that ensure only optimum quality product is delivered at industry leading prices.